Inside: Hoping your holidays are filled with precious moments and happy memories. Inside: …and a New Year that's filled with hope and promise! 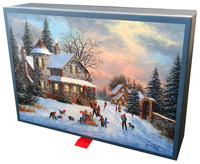 More Info: The 'A Happy and Blessed Christmas' Keepsake Box by Linda Spivey includes 14 Christmas cards with full-color interior designs and 14 coordinating full-color envelopes. The keepsake box has coordinating artwork, a magnetic closure, ribbon pull tab, and measures 7 3/4 x 5 1/2 x 1 7/8 inches. Each card measures 5x7 inches. Inside: Season's Greetings! May all your seasons be filled with Peace and Joy. Inside: Design 1: Wishing you the joy of friends and family during the holidays and in the coming year - Design 2: Old fashioned pleasures and old-fashioned treasures - may your holidays be filled with happy memories and much new joy! - Design 3: Wishing you the joy of treasured times with family and friends - Merry Christmas - Happy New Year - Design 4: May your Christmas be filled with joy and your New Year be filled with peace. More Info: The artwork of Dennis Lewan appears on each of the Christmas card designs included in the 'A Treasured Time' assortment of 20 Christmas cards (5 each of 4 designs) and 20 white envelopes. All of the cards feature coordinated full-color interior designs and come in a wonderful keepsake box that features corresponding artwork. The keepsake box has a magnetic closure and ribbon tab. The keepsake box measures 7 3/4 x 5 1/2 x 1 7/8 inches and each card measures 5x7 inches. Inside: May your Christmas be beautiful and your New Year be filled with peace. More Info: “Americana Tree” is the title of the Kate McRostie artwork featured on the front of this patriotic Christmas card. Red and white ribbons wrap around a Christmas tree while the US flag waves in the background. The card also features full-color coordinating artwork on the interior and is printed in the USA with a velvet touch finish. Inside: May the spirit of the season bring peace to you now and in the coming year. More Info: Deep reds, shades of green and earthtones highlight the wonderful artwork of Tina Wenke that is on the front of this Christmas card featuring an angel holding a gold star. Full color coordinated interior. Made in USA. Inside: May Heaven watch over you and bring you peace now and in the coming year. More Info: An angel wearing a red and green robe on a blue sky is the focus of the “Christmas Angel” artwork adorning the front of this Shelly Rasche Christmas card. Features full-color coordinating artwork on the interior of the card. Printed in the USA with a velvet touch finish. Inside: May this Christmas bring you the blessings of joy, peace and love. 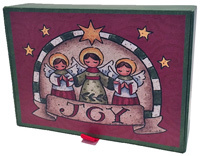 More Info: The 'Angels of Joy' Glitter Collection by Tina Wenke features 14 glitter embellished Christmas cards and 14 coordinated full-color envelopes. Each card measures 5x7 inches and has full-color artwork on the interior. The coordinating keepsake box features a magnetic closure and grosgrain ribbon tab and measures 7 3/4 x 5 1/2 x 1 7/8 inches. From the 'Christmas Keepsake' collection by LPG Greetings. Inside: May God's most precious gift of love bring you the blessings ..of Peace, Hope & Happiness. Inside: May wonderful memories of the holidays be the best gifts that you receive. More Info: “Beach Snowman” by Kate McRostie. 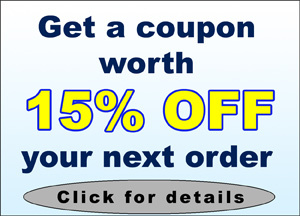 Exceptional Value Collection by LPG Greetings. Made in the USA. Inside: Wishing you all the joys that Christmas can bring! 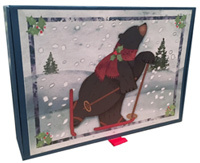 More Info: Share some smiles this Christmas with the wonderful cards that are included in the “Bearly Fun” collection. Each design features a fun loving bear that is enjoying the season while skiing, sledding and snow shoeing. This assortment includes 5 each of 4 different Christmas card designs with each design featuring coordinating full-color interior artwork. The coordinating keepsake box features a magnetic closure and ribbon tab and measures 7 3/4 x 5 1/2 x 1 7/8 inches. 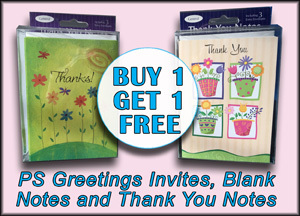 Includes 20 cards and 20 white envelopes. Each card measures 5x7 inches. From the 'Christmas Keepsake' collection by LPG Greetings. Inside: …And a New Year filled with the love of the Newborn King. Inside: Hoping your Christmas is filled with everything wonderful! More Info: Shimmering glitter adds a wonderful sparkle to the stocking and holly artwork featured on this die cut keepsake ornament Christmas card design. A red ribbon is attached to the top of the card so it can be saved and used as an ornament. Inside: May the simple things in life bring Peace and Joy to you this Holiday Season. More Info: This unique 3-D Christmas card features die cutting and a center fold on the front panel to allow the cardinal images to 'pop up' in alternating directions and create a beautiful 3-dimensional effect. Glitter embellishments on the birds and pine cones add a wonderful sparkle to the artwork. Inside: Wishing you a Christmas filled with Fun and Excitement! More Info: Original artwork 'Christmas Bliss' by Gary Patterson. Made in USA. More Info: “Caught Peeking” by Keith Dabb. 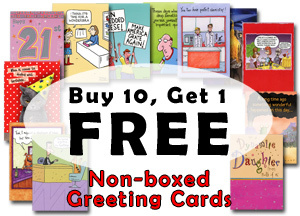 Exceptional Value Collection by LPG Greetings. Made in the USA. 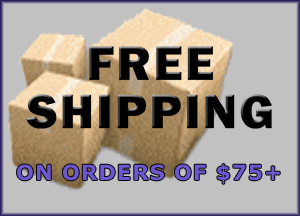 More Info: Made in the USA using sustainable printing methods/recycled materials. Printed with Recycled Ink. Printed with Soy Ink. SGP (Sustainable Green Printing) compliant. Inside: May the peace and joy of the season be yours through the New Year. More Info: My Turn by D.R. Laird. Box includes 18 Christmas cards measuring 5x7 inches along with 18 white envelopes. Made in USA. Printed with Recycled Ink. Printed with Soy Ink. Printed using a SGP certified printer. Inside: Joy to the world, the Lord is come. 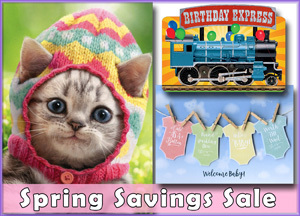 More Info: Part of the Ornament Collection from LPG Greetings. Inside: MERRY EVERYTHING! Now and in the coming year! More Info: “Christmas Cabin” by C Lynnea Washburn. Deluxe Velvet Touch Collection by LPG Greetings. Made in the USA.